Dubai, 29 May 2018: The trend is catching on. High Intensity Focused Ultrasound is emerging as the answer to skin-lifting applications with instant remarkable results. Known as the collagen generator and gravity fighter, HIFU is great news for those looking for a non-invasive cheek, chin, neck and brow lift. Combined with Radio Frequency, PRP, Threads, Botox and Fillers, they form Kaya Skin Clinic’s holistic solutions, which offer personalized and long lasting results. As we age, facial fat gets redistributed, muscles weaken, and collagen loses elasticity. As collagen fibres slacken, they lose their capacity to support skin. Due to gravity, skin gradually sags downwards, altering the contours of the face, chin and neck. Hence, Skin lifting, especially through non-surgical techniques, becomes the treatment of choice. Today Kaya Skin Clinic, the largest skincare clinic chain in the region with 24 branches across UAE, Oman, KSA & Kuwait, launches the proven, FDA approved technology (HIFU) to deliver outstanding results in skin-lifting applications. Unlike conventional techniques, it is painless and has no downtime. It is non-invasive and equally effective on all skin types. “From experience we know that optimum results are witnessed when this treatment is combined with Kaya’s other age control solutions such as Radio Frequency, Threads, Botox and Fillers that work together to tighten and lift the skin. Being keen on delivering optimal results, a customized plan of treatment is set for each client” Dr. Tabassum went on to add. Ultrasound delivers deep-focused energy through a hand-held device to the focal area. This way, the heat gets straight to the deep layers of the skin causing no harm to the epidermis and dermis. The ultrasound energy causes vibrations amongst the tissue particles in the target area, generating thermal energy. This stimulates a triple-layer benefit and provokes collagen generation. The body’s natural healing processes then steps in to heal the micro-injuries and consequently create a selective thermal coagulative zone which in turn tightens and lifts the skin. The results? The results are easily noticeable, some sooner than others. This treatment will tighten the skin, lift the features and improve blood circulation. Some improvement will be visible immediately and even more youthfulness will unfold over the next few months. As weeks progress, facial contour shows visible improvement in the target areas while skin acquires a smooth, radiant glow. Speak to your Kaya dermatologist to discuss pre and post-treatment care. 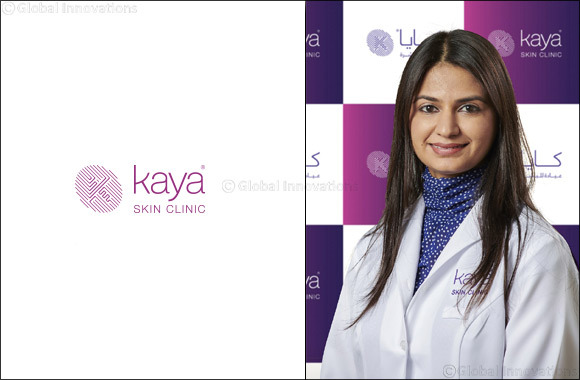 For your convenience HIFU technology is available at Kaya Skin Clinics across UAE.